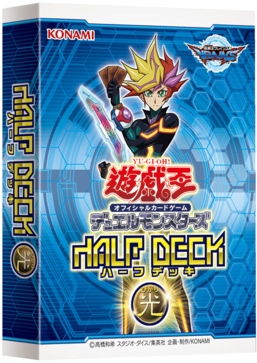 Half Deck 2018: LIGHT is a Half Deck in the Yu-Gi-Oh! Official Card Game (OCG). It was distributed at the Card-labo TCG Festival 2018. Each Half Deck 2018: LIGHT contains 21 Common cards. This page was last edited on 30 June 2018, at 00:16.